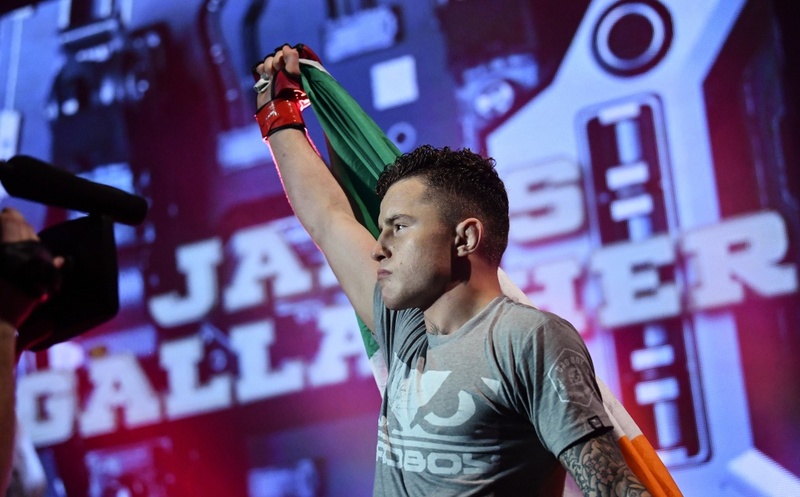 Bellator grabbed quite a few European headlines after they signed a large number of Irish fighters in one quick swoop earlier this year and with a return to Dublin set for February 2019, it looks as though they are gearing up for something special. Memories of 2014’s UFC Dublin passed through my mind upon hearing the original announcement in the sense that there is every chance that this card could be another pivotal night for the sport’s growth in this country. Think about it. 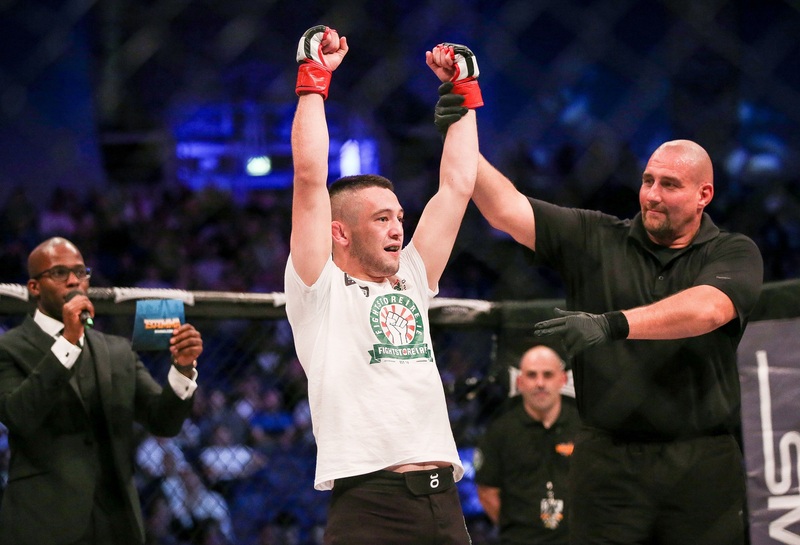 Scott Coker and co. decided to bring in a plethora of Irish fighters in July – a mix of prospects, veterans, and immediate title-threats. Does it not stand to reason that they have a plan in mind as far as their presence here is concerned? It’s an unprecedented move and by all accounts, a very good sign for 2019 as far as the national scene is concerned. We know that James Gallagher will headline the card against Steven Graham, but apart from a few subtle hints, the rest is unclear. I believe an Irish mixed martial arts showcase event is the play here. Coker will no doubt be looking at the lasting memory of UFC Dublin as one of the most electric fight-cards of the last five years and angling towards something similar. With that in mind, here are ten fighters we would love to see in action in Dublin’s 3Arena on February 23, 2019. 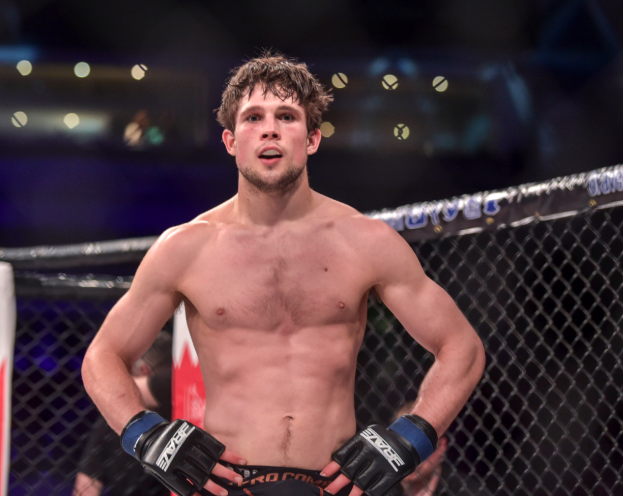 It’s hard not to be excited about the future of Crosbie within the stacked Bellator welterweight division. Unbeaten and with a promotional debut victory under his belt, Kiefer is one of those guys that looks set to explode at any moment and a spot in Dublin would potentially plant the seed for something special. Like many others on this list, he hinted at his inclusion via social media. A dynamic grappler who comes out every time with his hands high and a furious pace behind him, Smullen signed for Bellator after losing out in his UFC debut against hotly-tipped prospect Luis ‘Violent Bob Ross’ Pena earlier this year. Coker and co. would be stupid not to put him in there and like Crosbie, he’s another that as though he is one spectacular win away from generating some serious hype. Sinead ‘KO’ Kavanagh well and truly lived up to her billing the last time she fought on Irish soil – absolutely starching Maria Casanova in 34 seconds in front of a Dublin crowd in the 3Arena last year. 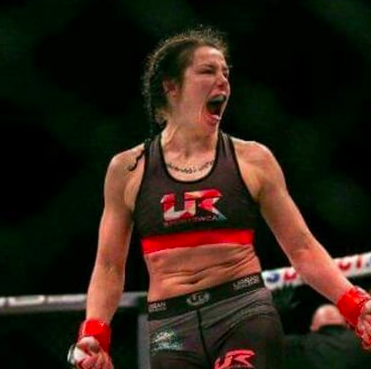 And although she lost out by doctor’s stoppage last time out, she is a warrior in every sense of the word and would have no doubt continued had the call not been made. Not many fighters can say that they fought for a world-title in their third pro-fight but with Richard Kiely, it has become increasingly clear that his path is not the commonly walked one. 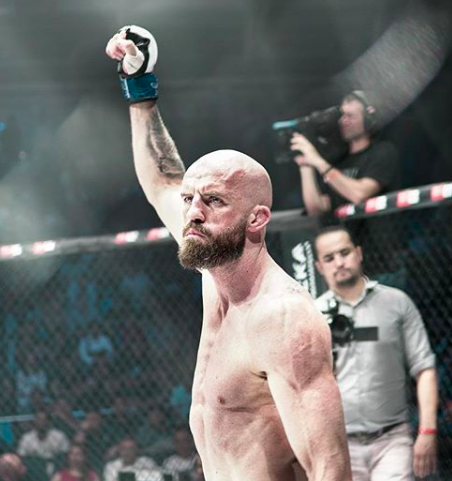 An elite kickboxer making the transition to MMA, Kiely’s Bellator debut has been eagerly awaited by those who know him and with the talk to back up his fighting skills, ‘The Face Of Bellator’ should be given the opportunity to become exactly that on the Irish stage. Queally has been around the MMA scene for quite some time now, picking up experience fighting whoever, whenever, wherever. 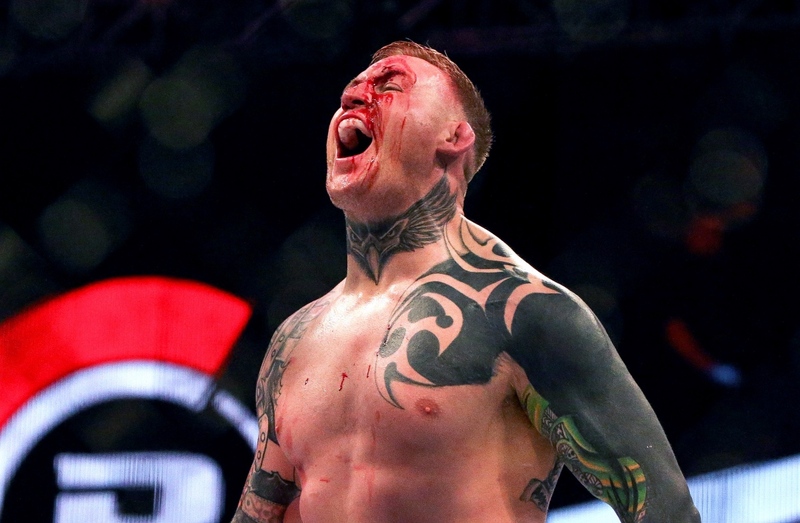 Sixteen fights into his pro-career and he has managed to record hours of valuable in-cage time and with his last outing, he picked up a fantastic knockout in the opening round – the first finish of his career, proof that ‘The Showstopper’ is ever-improving. An absolute shoo-in for a main-card spot on this card. Another who should find himself on this event’s main-card is the powerful middleweight Charlie Ward – who despite losing twice during his run in the UFC, has been able to bounce back with two straight first-round KO wins. Despite just eight pro-fights, he brings experience to the table that will no doubt make him a nightmare in Bellator’s 185lb division and if they’re smart, they’ll give him the opportunity to bring some violence to proceedings on February 23. Moore has been quietly amassing a highly-impressive 8-2 record as a 205lb-r, making him the heaviest fighter on this list. He has experience in there with UFC-proven guys like Cyrill Asker and Paul Craig and has proved his abilities as a dangerous finisher with four submissions and a pair of knockout victories. Last time out he lost out in just 15 seconds to Mauro Cerilli but has shown himself to be very talented and as a result, should be definitely be considered for a spot in February. You just couldn’t have a huge Irish event without Redser in there. 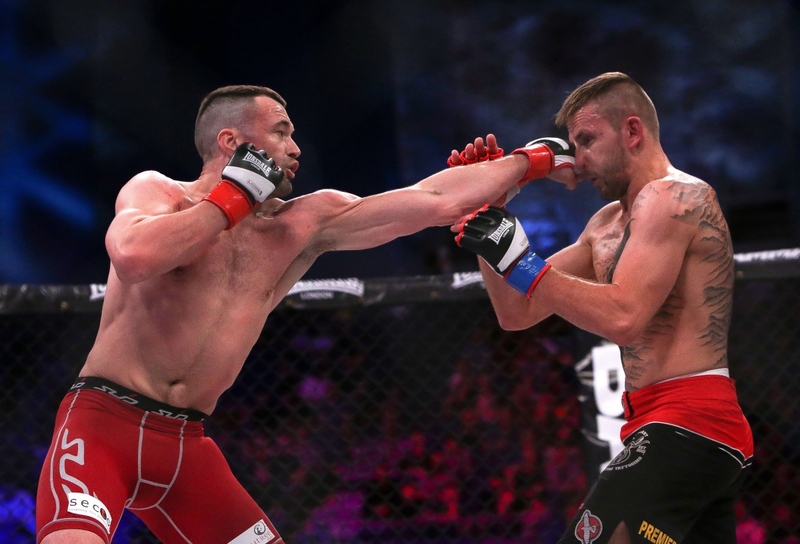 Redmond has been plying his trade across several different promotions including Bellator, the UFC, KSW, BAMMA and Cage Warriors and has featured in several Dublin fight-cards in recent years. A favourite with fans, five of his last six fights have taken place on Irish soil and one would have to assume (and hope) that he’ll make that six by the time February passes by. At 2-0, Slater is the most inexperienced fighter on this list but from what we’ve seen so far, this prospect looks the part. He holds sizeable experience on the amateur circuit and since turning pro, has fought under both the BAMMA and BRAVE CF banner. His fluidity on the feet even earned him the attention of the legendary heavyweight Bas Rutten. 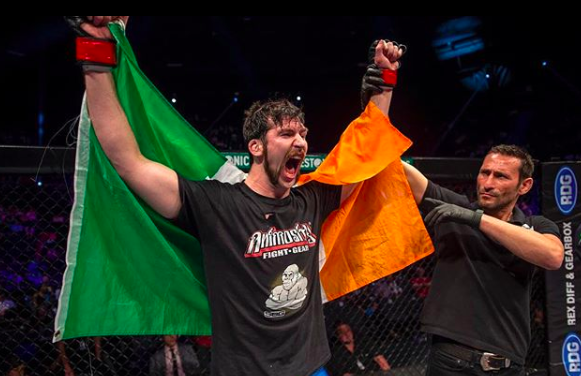 With four submissions on his record at both pro and amateur, giving him a platform like Bellator Dublin for his promotional debut is a no-brainer. 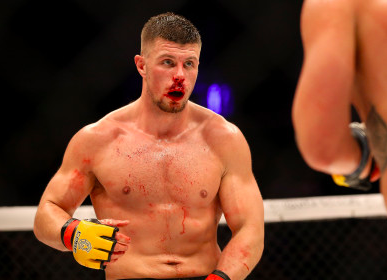 Fleury’s Bellator debut back in July didn’t exactly go as planned, losing out to Alen Amedovski in Rome but make no mistake, this guy is more than capable of bouncing back. 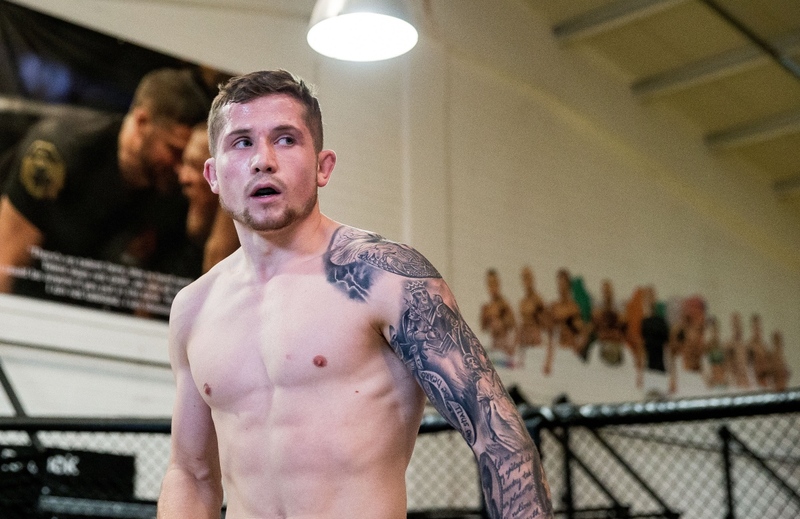 A proven finisher who follows the self-described fighting life of a ‘raw bast**d’, Will ‘F**kin’ Fleury has all of the tools necessary to win big next time around and earn himself a special place in the Irish MMA fanbases’ hearts as time goes on. Parke is perhaps the most experienced and well-known guy on this list. 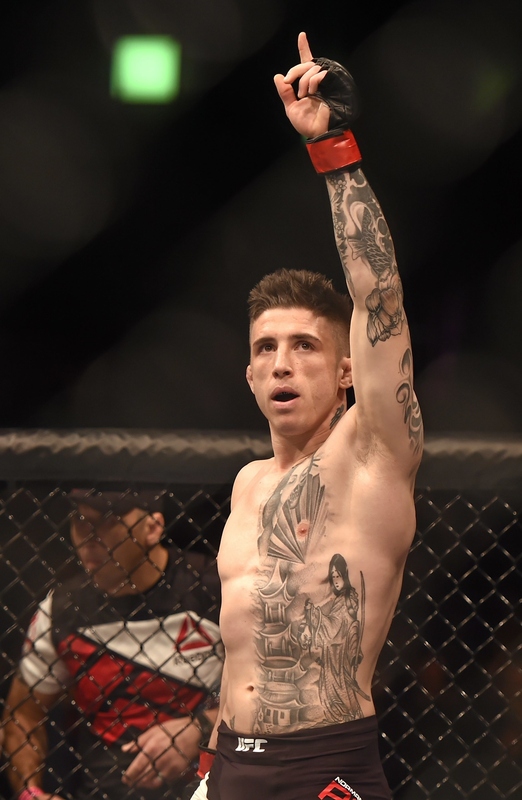 As a winner of The Ultimate Figher: The Smashes at lightweight (the other winner was then-welterweight Robert Whittaker) – Parke has managed to compile a very strong record in both the UFC and beyond and has not been finished since 2010. 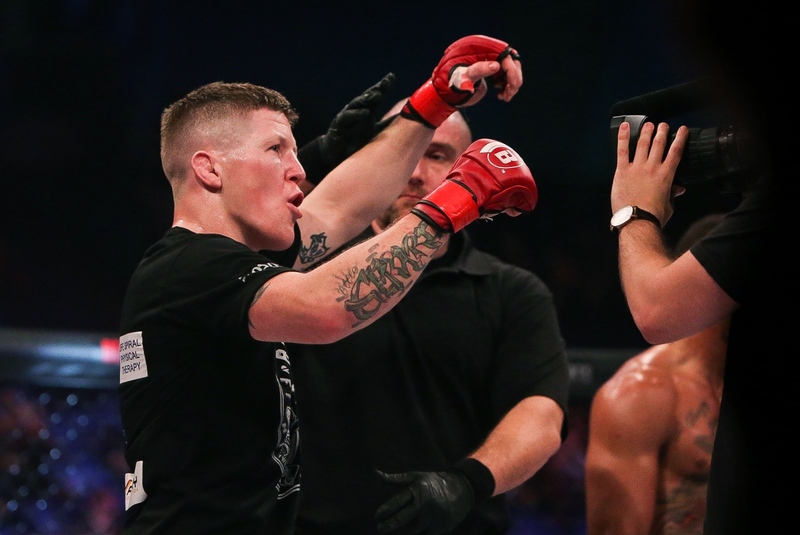 Signing for Bellator earlier this year with no debut set – do not be surprised to see ‘Stormin’ Norman featured on the Bellator Dublin main-card. There are a lot of others guys we’d like to see in there, of course. If Brian Moore is fit to fight, one would assume that he’d be in the running – although a pair of injuries sustained to his hands in his last outing may prevent that from being the case. Luka Jelcic, Ion Pascu, John Redmond, Dylan Logan, Pedro Carvalho, and Dillon Danis are all guys who Bellator could call upon to take a fight on this card and to be honest, one would have to hope that every fight featured will include someone that the home-crowd can get behind. And who knows, there’s still a few months to go until the card takes place and with Ireland’s phenomenal performance at this year’s IMMAF’s on the amateur scene, perhaps we could see some of our medalists make the switch over for pro-debut under the Bellator banner. Whatever happens, we will keep you updated as this potentially amazing fight-card takes shape over the coming weeks.